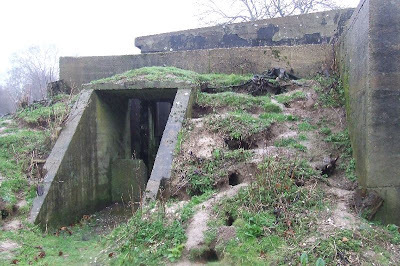 These bunkers appear to have been an ammunition depot for the Dover gun batteries during WW2, although there does not seem to be any documentry evidence of their use. They are located in a remote location at Lydden Hill, a few miles west of Dover. 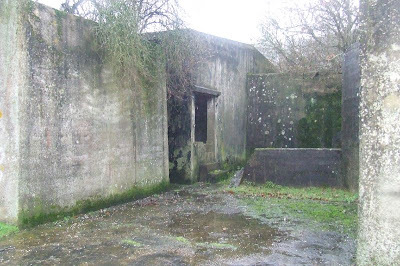 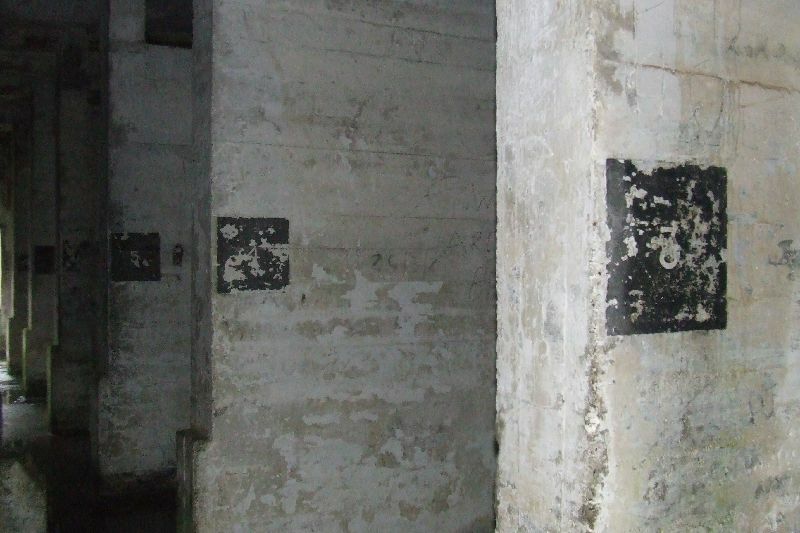 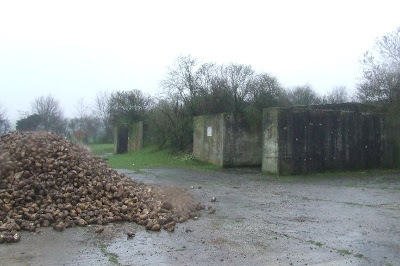 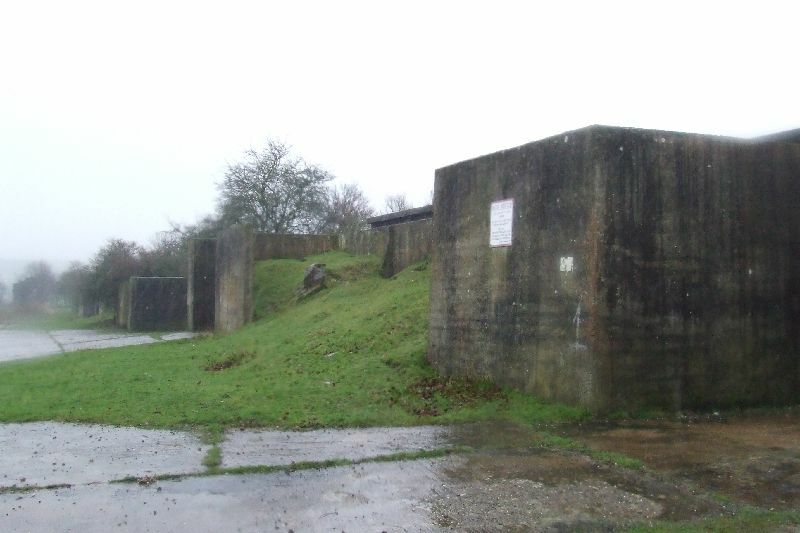 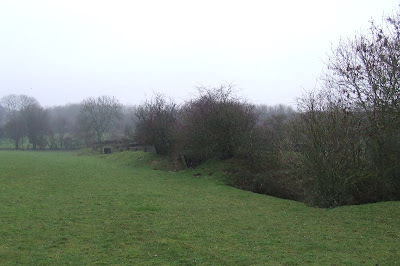 There are three identical semi-sunken concrete bunkers on the site, each containing two rows of numbered ammunition bays, with a dividing wall between. There is extensive graffiti in the bunkers, with some interesting examples from the army, probably dating from around the 1970s. The site still remains in MOD hands and is used occassionally for TA training. 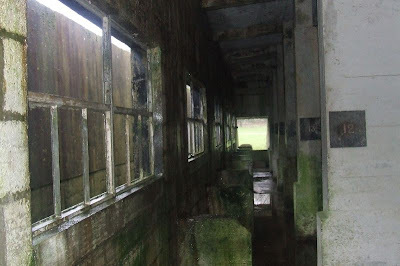 This visit was with MOD permission and they discourage unauthorised access, thanks to Andy Kershaw for organising. Good pictures. 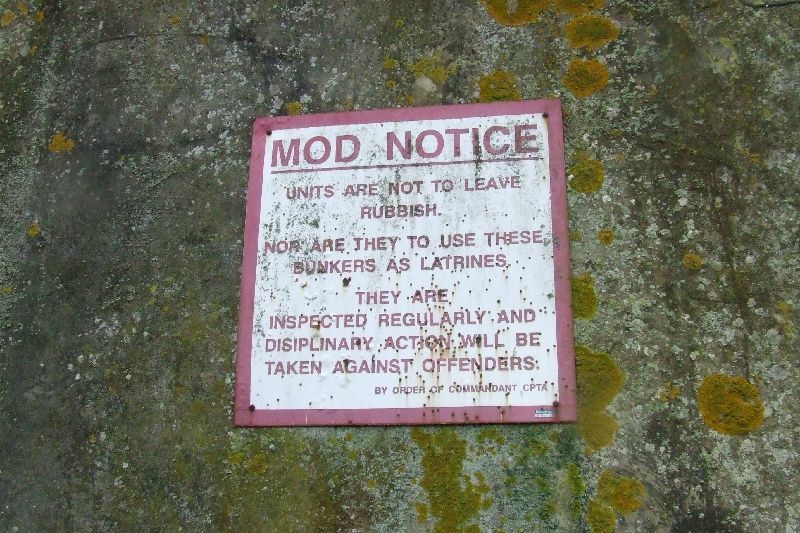 I was there a couple of years ago but didn't realise that it was still active as an MOD training area since the paras left Dover. 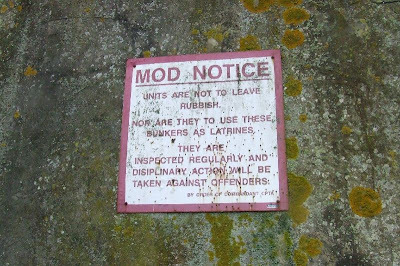 Is it really still being used as such now? 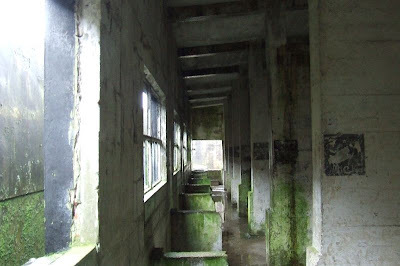 If so would I be arrested for exploring the site again? 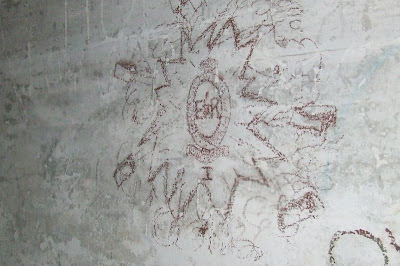 I think we did an exercise up there in the Dover Grammar CCF a few years back. Slept in there! I also did an exercise weekend with the Kent army cadets. I would love to take my boy camping there and teach him a few things like map reading and get a 24 hour ration pack if anyone knows how to get permission could you please post as it would be hugely appreciated thanks.